This site will accumulate all manner of oddities, in academic and artistic extremis, as I explore how the world has seen some of my ancestors. Among all of this there will be the bizarre, beautiful, offensive, romantic, ignorant and unbelievable. Hopefully there will also be the occasional tad of wisdom to be uncovered to help us navigate the treacherous shoals of cultural identity – race, imperialism, gender and forgetting. Together, all of this will mark my progress in mapping the visual representation of Tasmanian Aborigines by the rest of the world from the 17th century and beyond. 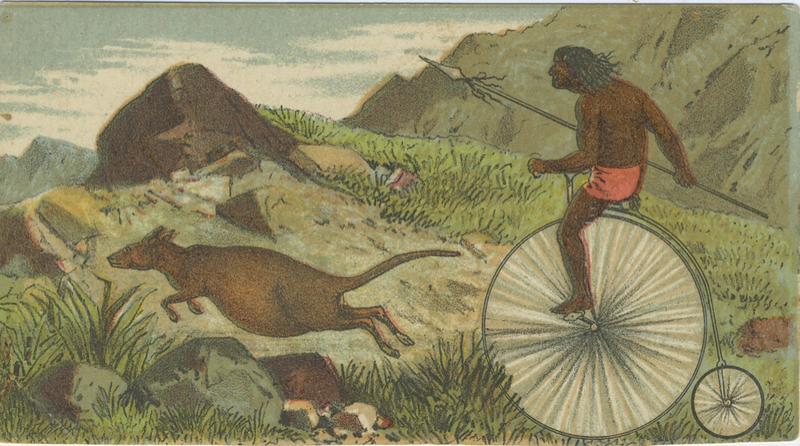 There is a sad lack of resources available on line for anyone interested in the appearance of Tasmanian Aborigines in history – some of it self-seeking nonsense to be studiously avoided! So be careful. Hopefully my blog will reduce this problem a little and prompt some critical thought in the process. Please browse some of my links for better sources. I welcome comments, criticism, bagging out and (most of all) contributions of obscure examples of image and text that will help me to compile the real and imaginary of Tasmanian Aboriginality in the world’s perverse, ethno-hysteric, romantic, scientific, colonial, fanciful, bleary, ever-wandering gaze. The site will become more structured as it grows, so keep an eye on the content. Hopefully it will make some sense in time. For more focused reading, a selection of essays, reviews and other work can be found here. I’ve worked in Aboriginal organisations, agencies running heritage and education programs, universities and research institutes pretty well all of my life. Most of that time was spent making a lot of political noise. I eventually realised that most of that noise was emanating from a sparsely filled space in my own life that should have been overflowing with knowledge about the cultural history of my family and the community I live in. So now, instead of spending my time telling people what they should be thinking and doing about the mess that colonialism has made of the island I come from, I try to make that space a little less empty by investigating the visual history that has been left behind and how it has influenced what we think about the past. Hopefully a few of the things I find will be worth something to others who call Tasmania home. Me in my back yard, Ulverstone c.1965. This raygun was apparently capable of destroying aliens. For me this project is about family and where we come from. This is my Father’s grandmother. 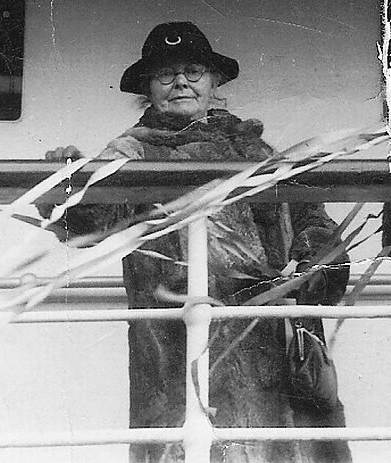 Nana is seen here c. 1930, on her way to Melbourne ‘across the other side’. She is wearing her wallaby skin coat. Nana was just born one year after Wapperty, the last of her tribally-born elders had died. I don’t know what she thought about her Aboriginal ancestors. But that coat makes me think she would have had some yarns to tell. Nana’s Grandmother’s name was Jane Baker (1826 – 1898). She married an Englishman by the name of John Hearps. 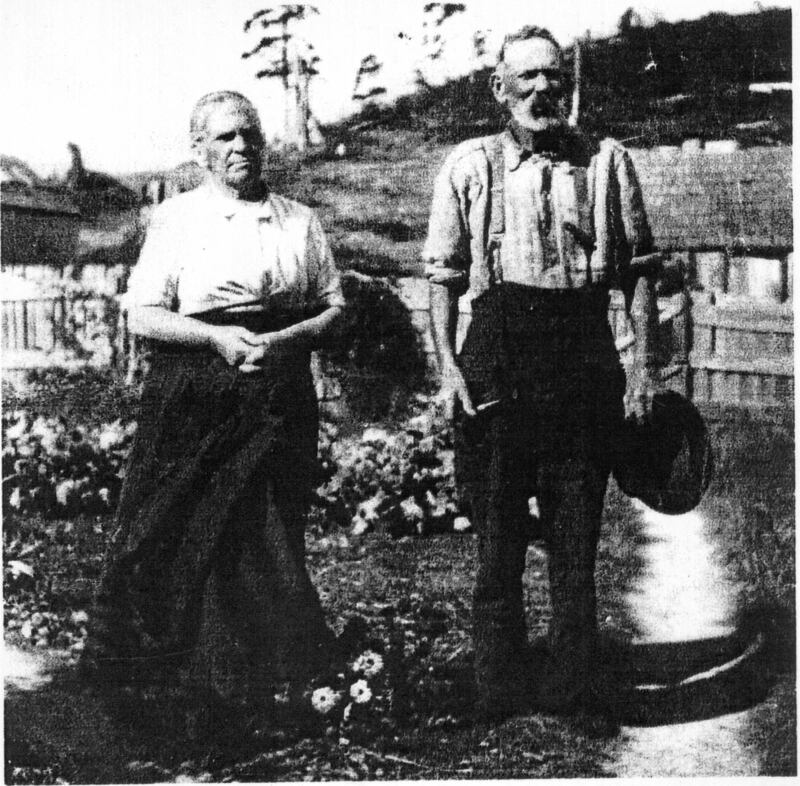 This photo was probably taken at their farm at Dunorlan. Jane was the first child of Dalrymple (Dolly) Briggs, perhaps the most famous of my ancestors. I have yet to find a photo of her. This article by Nicholas Brodie provides an examination of her and the legend of her life. Wapperty, c. 1797-12 Aug 1867. Her sister, Woretemoerteyener, was Nana’s Great-grandmother. They and many others were kidnapped or traded as slaves at a young age by sealers in Bass’ Strait. Wapperty (front left) and her countrymen and women. At Oyster Cove mission station, 1858, where they were held until their deaths. The father of Wapperty and Woretemoteyener was the ‘Clever Man’ Manalagena. 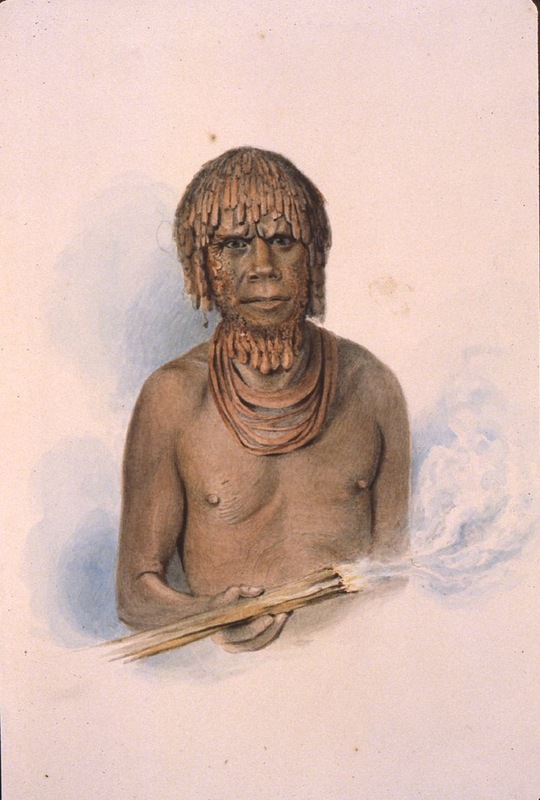 He is perhaps best known from this c.1832 watercolour by convict artist Thomas Bock. A more accurate resemblance of Manalagena can be seen in this bust. 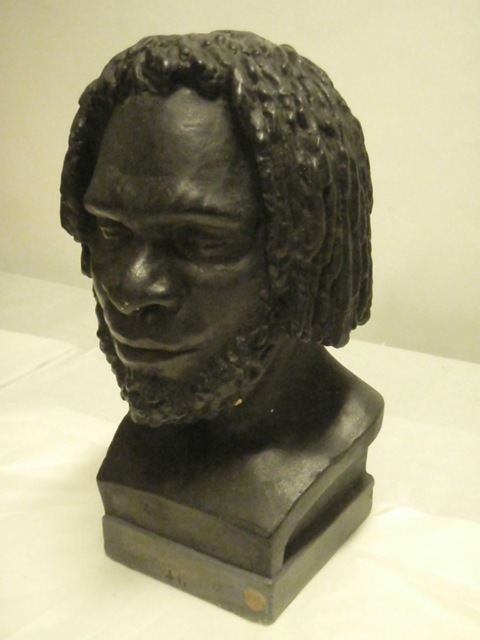 I photographed this at the Natural History Museum in Paris, where it is one of a number of Tasmanian Aboriginal busts from the collection of the Phrenologist Pierre-Marie-Alexandre Dumoutier. Hi Greg, have just stumbled on to your blog…I think it’s you! It’s great! I especially love the photograph of your father’s grandmother: ‘Nana’ in her possum skin cloak; a darug friend of mine has just made a possum and kangaroo cloak and I will send her the link to your pic, for further inspiration; did I send you the link to the article I quote you in? ‘Islands of possibility: Film-making, cultural practice, political action and the decolonization of Tasmanian history’, Studies in Australasian Cinema, Decolonizing Screens, 7.2: 2014. Hope I did…I did write to you about it at the time of thinking/writing/drafting and you replied that it was fine to quote you. I quote from “Coming to terms with Tasmania’s forgotten war” (on the Conversation). In any case your writing means a lot to me. Thanks Jeni. Yes it is me. Good to hear from you. Hi Ciaran – I don’t hold copyright on the image. As long as it is reproduced and contextualised sensitively, I’d be happy for you to reproduce it on your blog. Thanks and keep in touch on your research. was your gggfather John hearps b 1816 married to Jane baker? Hello Ciaran do you know if Towser had children?.My great great grandmother is Fanny Mason (birthname is Fanny Harris) and has a father named John Harris who was a sealer and her mother’s name is Towser. Fanny was born at Sea near Kangaroo Island I in the 1840’s and went to Annesfield school for aboriginal children in Albany. Some information says Towser is an aboriginal woman from Portland Bay area in Victoria. My great uncle says Towser is from Mauritius but no one has any solid information yet. Hey Ciaran I think towser is my great great great grandmother. Fanny Mason is my great, great grandmother and her mother’s name is towser and father’s name is John Harris who was a sealer. 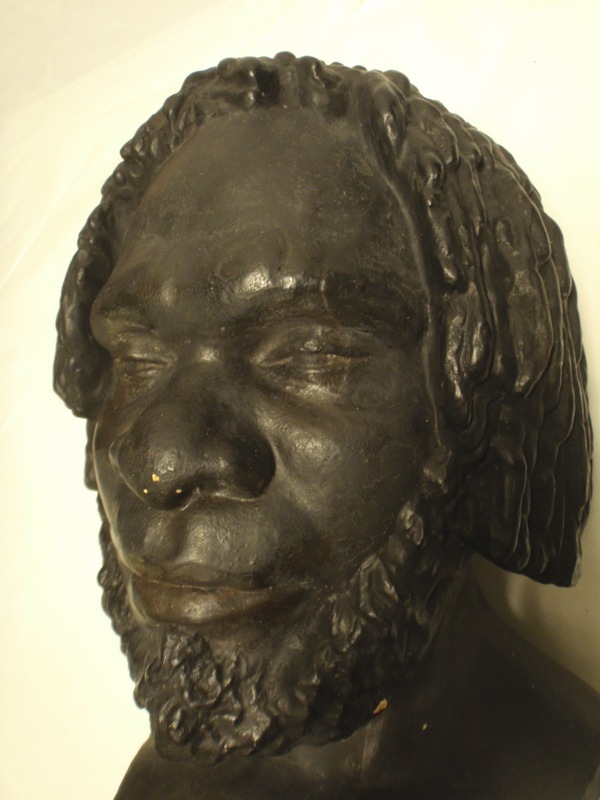 Fanny was born at sea near Kangaroo Island and went to Annes field Aboriginal School in Albany. I have 2 photos of her but none of towser. Hello, thanks for sharing your writings and the above family photos Greg. It’s wonderful to read comments from other Hearps family – my great grandmother is Jean Hearps, daughter of Alfred Hearps and granddaughter of Jane Baker. Great page! I’m your cousin Zoe Kennedy, daughter of Phillip Kennedy and great granddaughter to Leo Kennedy. Unfortunately I have nothing further to contribute that you don’t already have. I hope you can find more info and pictures! If you check your LinkedIn, I have sent you a request – please feel free to contact me on there if I can be of any help or if you have anything additional that may be of interest. Hi Zoe – thanks for making contact. Let’s keep in touch cuz! Hi! My niece just told me about your site. So interesting! I am a descendant of Dolly Briggs through her son, Thomas Johnson, granddaughter Mary Ann Johnson Walker, greatgrandson Thomas Lewis Walker, and great great grandson John Tasman Walker, who is my father. So you and I are descended from a daughter and son of Dolly. Great to read the results of your research! Hi Brian. I’d love to see the photo if you can share it.